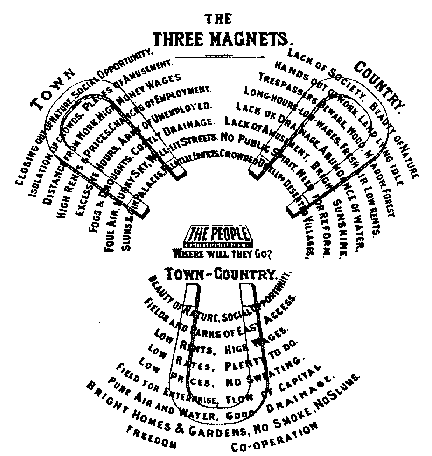 Ebenezer Howard’s "Three Magnets" diagram, 1898, Tomorrow : A Peaceful Path to Real Reform in 1898. The text reads : THE THREE MAGNETS THE PEOPLE Where will they go ? Town Closing out of nature.